Arthur Ransome remarked that “Anglers, make fine old men”, and George Morrell, angler and schoolmaster comfortably fits into Ransome’s characterisation of a “fine old man”. A native of Darlington, and a leading light in the Congregational Church. George Morrell first taught at Darlington’s British Board School where his work came to the attention of fellow Congregationalist and philanthropist Sir Titus Salt. Moving to Saltaire in 1880, Morrell took up the post of an assistant teacher in Salt’s newly formed Saltaire Factory School prior to completing his Certificate in Teaching in 1887. Morrell was eventually appointed headmaster at the school, now renamed as the Shipley Central Boys School, (which later became Salt’s Grammar School), and he continued in this post until his retirement in 1905. A Shipley Times and Express newspaper article of October 22nd, 1920, celebrated Morrell’s many years of service to Shipley and its community. The newspaper estimated that he had personally taught many thousands of pupils, with many going on to become noted local businessmen, sportsmen and teachers. The article also pointed to Morrell’s work in the foundation of the Shipley Temperance Movement, before going on to mention Morrell’s interest in football and cricket, as well as his passion for fishing. From reading many angling articles in the local Victorian press, it becomes evident that the keen angler George Morrell fished many of the dale’s rivers. With the river Wharfe at Burnsall having a special place in his heart. So much so, that he joined the fledgling Burnsall Angling Club now known as the Appletreewick, Barden and Burnsall Angling Club in 1877. A club member for a total of 52 years and serving as club secretary for 25 years. Morrell was one of the most influential figures at the centre of the Burnsall club’s formative years. 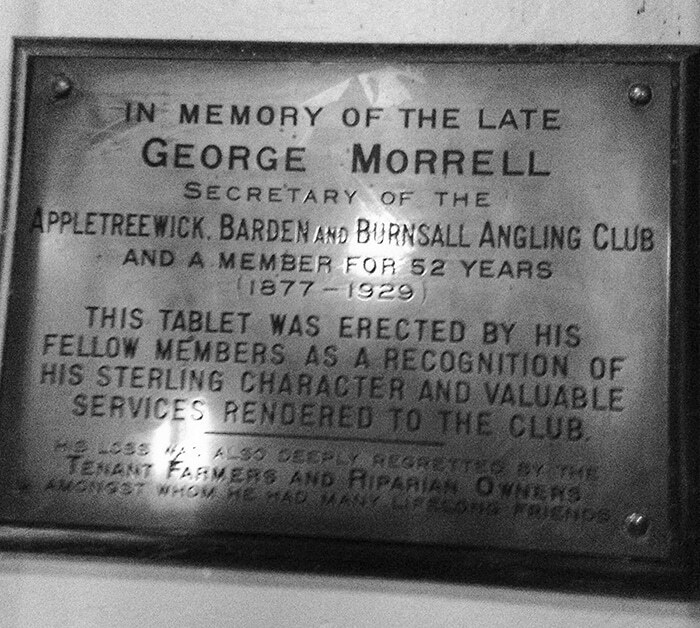 So much so, that upon his death in January 1930, at the age of 89, Morrell was commemorated with a plaque in the Burnsall Village Hall, for his outstanding service to the angling club and the village which he loved so much. ©Alison Fort, Burnsall Village Hall. “They had met to honour the memory of a good man – good in every sense of the word. He knew that Mr Morrell loved Burnsall village and the surrounding district, and well remembers his efforts in raising £50 for the Building Fund of that hall. Mr Morrell left a wonderful record as teacher and a moulder of character, and a splendid record of public service. His records as secretary of the fishing club were unique, and full of interest, in years to come they would be read with interest, for they were full of literary merit”. All fascinating no doubt. 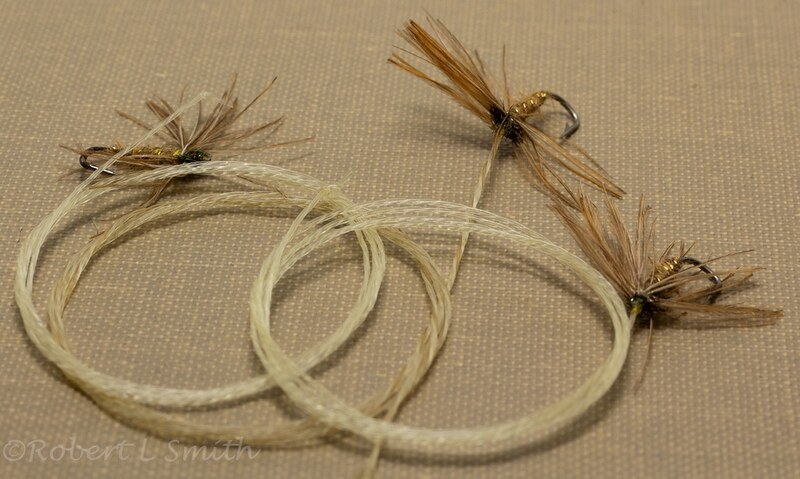 But what makes George Morrell a stimulating subject for a flyfishing blog? Well, his passion for teaching and angling come together in an extraordinary way, not appreciable, until one does some exploration around his pupils at Saltaire. Three of whom would become passionate anglers and famous north country angling authors. Namely, Harold Richardson Jukes, author of Loved River. And both Harfield Henry Edmonds and Norman Nellist Lee authors of Brook and River Trouting, who were all educated at Salt’s School. 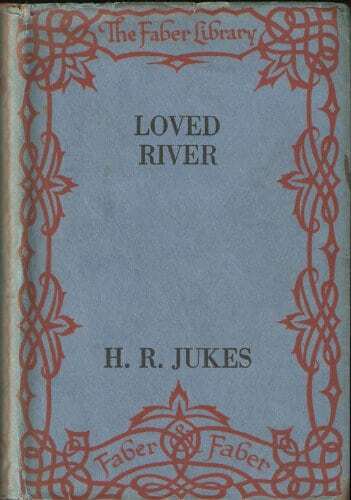 In his 1935 publication Loved River, H.R. Jukes paints a delightful portrait of the River Nidd and the many characters who helped him recreate his idealised vision of the river of his boyhood. In his chapter – Guests, Jukes reminisces about a visit from his old schoolmaster, and a days fishing with the now elderly Morrell. “He came to see me; a dry and wizened little figure, looking at me speculatively through thick-lensed glasses. The boy he had remembered had grown up. I think that then, for the first time, he came to realize that no longer could he claim to stand in loco parentis. “His flybook came out; an old, worn, pigskin case, mellowed and darkened by the years to almost the colour of mahogany. He handed it to me to look through. “I cannot make my own flies now.” He went on, in that quite voice of his, “though there are many there that I did make. That is the best of hair, is it not? It never perishes. 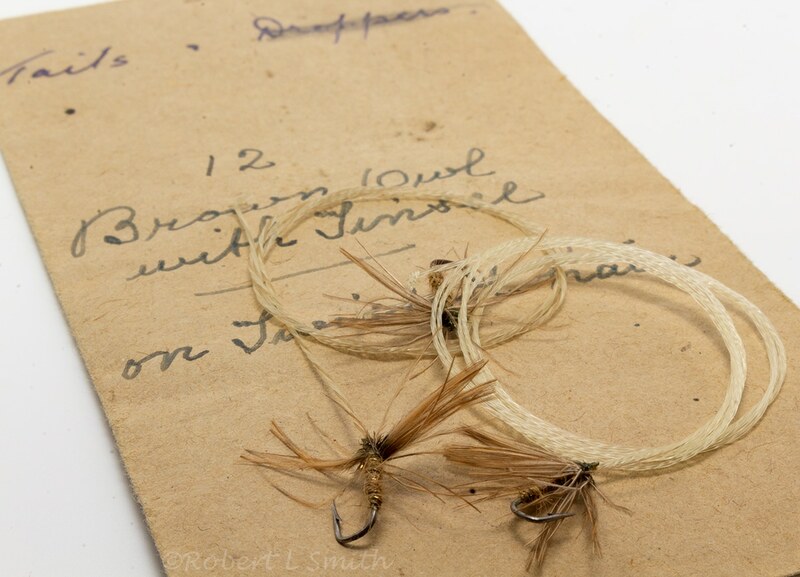 Edwardian north country spiders on twisted horsehair. To finish of his chapter on Morrell, Jukes recollects an image of this most gifted of flyfishers, casting his team of north country flies effortlessly upon the river’s surface. His commentary of Morrell fishing the Nidd around Middlesmoor, not only serves as a veneration to his old schoolmaster. But moreover, to a lost generation of exceptional north country anglers. “His long, fine line, with its cast of hair and tiny hackled flies, curved gently out and fell, as softly as its own shadow, just where the rougher water ended and the ripples began. He might have been fishing with a cobweb. The three flies just seemed to float down. One sensed the mater, the indisputable master, at once. George Morrell died at his home in Saltaire on the 30th January 1930. And with his passing, a practical link between the traditions of the Victorian anglers, and the modernist Edwardian north country anglers was slowly coming to a close. A link that would firmly end in the 1950’s, with the passing of his pupils Harold Jukes, Harfield Edmonds and Norman Lee.